Shimrit Elisar tells us where to go to experience everything from hiking to bar hopping in this local guide to Tel Aviv. It may be a cliché, but to get yourself acquainted with Tel Aviv, take a walk along the seafront. Apart from providing a slight respite from the summer heat when necessary, it puts the city in instant perspective, as Tel Aviv is really rather small. On both ends of the main Tel Aviv promenade you’ll find a port – Tel Aviv’s old port in the north, now an attractive but pricey shopping and recreation area used mostly by suburbanites and tourists, and the old Jaffa port in the south, still an active shipping port but now a shopping and recreation area as well. Head up into Jaffa’s old city to enjoy small twisting alleyways which, although quite touristy nowadays, are still very attractive. You can catch the perfect view of Tel Aviv’s famous seafront from nearby Gan Hapisga. Tel Aviv’s most cosmopolitan neighbourhood is the rundown Neve Shaanan, home of the city’s main population of foreign workers and asylum seekers. Walk along Neve Shaanan Street if you want to try some excellent African food or enjoy a drink at a traditional Filipino karaoke bar. This poor neighbourhood can be challenging, so if you’re not feeling up for a solo wander, CTLV offers cheap tours of this neighbourhood and those around it. Being reasonably flat and not very big, Tel Aviv is perfect for cycling. The reliably clement weather also helps. The city operates a public bike program and you can easily rent a green bike at one of the docking stations using your credit card to get around like a true local. 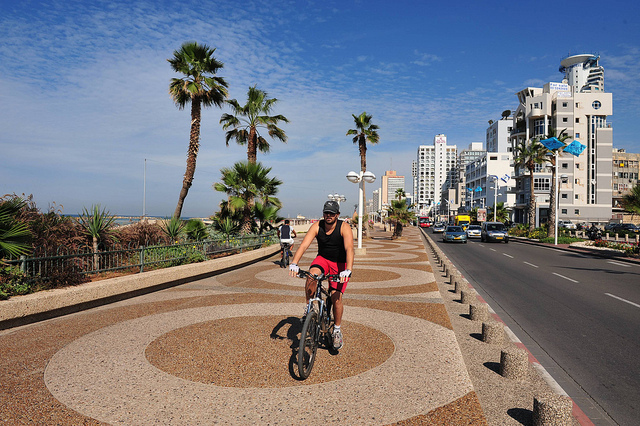 Cycle paths are scattered throughout town, most notably along the seafront and on the city’s boulevards such as Rothschild Blvd., Ben Gurion and Nordau. This being Israel, prepare to encounter many pedestrians wandering the cycle lanes, and don’t expect the type of cyclist awareness you find in the West. I live here so I don’t stay in hotels, but I visit the Boutique Hotel Montefiore often to enjoy its restaurant’s excellent and very reasonable breakfast. I also frequent the Brown Hotel for its attractive lobby bar and the roof terrace, where all kinds of cool art and fashion events happen regularly. Note that hotels and even hostels in Tel Aviv are notoriously expensive, so you may actually want to opt for a sublet or self-catering apartment. Street food in Israel is so cheap and tasty that many international fast food chains have failed here. When I want to upgrade my experience somewhat I go straight to Hamiznon (Hebrew for “The Canteen”), a street food place owned by a famous local TV chef. There are now two branches, both serving amazing versions of popular local dishes, all with some sort of gourmet twist. Everything, down to the flour used to make the pita bread, is made especially for this small chain. Oddly enough, my favourite dish here is actually the baked potato in a pita. 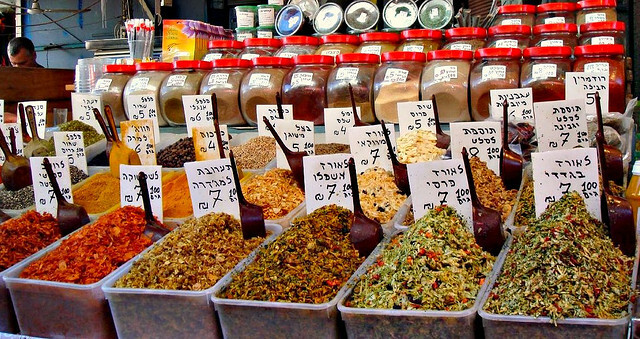 Nahalat Binyamin crafts market (Tuesdays and Fridays, unless it’s raining) is a great place to stock up on everything from original jewellery to homewares and handmade local souvenirs. Start at the corner of Allenby Street and Nahalat Binyamin and work your way down the pedestrianized area, which is packed with interesting stalls. Purim, the “Jewish Halloween” is usually celebrated around February / March (the exact date is determined by the Jewish lunar calendar).The entire city turns into a giant costume party for days with every bar, club, café etc. holding some sort of festive event. Jewish tradition demands that you get so happy and drunk on this particular holiday that you forget your own name. Locals are happy to oblige. Although not your average seaside resort town, there are a lot of beach related activities in town. Locals love playing “matkot”, a beach tennis game played with wooden rackets. Five minutes on any beach in town and you will see it being played. If you want to join in, you can buy the kit at most seaside stores. Gordon beach also offers volleyball nets and further south, near Jaffa is a beach popular with surfers. That said, the favourite Tel Aviv pastime is without a doubt sitting around in cafés. Locals work, meet, entertain and enjoy the daily paper or their favourite books at their favourite neighbourhood cafés, with many having a few chosen hangouts they use for particular purposes. 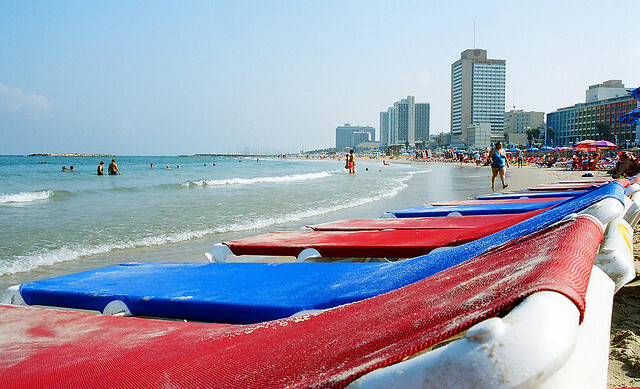 Tel Aviv is not a very green city, so the beach is most people’s escape from urbanity. If you want actual greenery, the Yarkon Park, stretched along the feeble Yarkon river that splits Tel Aviv from its northern suburb is a pleasant place to hang out, bird watch, cycle or walk around. You could actually cycle or hike along the river all the way to its origin. The distance from the Yarkon estuary in Tel Aviv to the river’s origin in Rosh Haayin is about 25-30km. Bring plenty of water with you. There are quite a few places around town where you can catch local live music for free. The trendy Rothschild 12 Bar for example, has free indie gigs almost every night, as does the Container restaurant in the Jaffa Port where you can catch everything from blues bands to world music and beyond. The Alfred Gallery, Israel’s first fully co-operatively run gallery and art centre is a great place to see shows by local upcoming artists. Tel Aviv is packed full of bars and locals have a very short attention span, meaning places go in and out of favour (and business) very quickly. One thing does remain the same, though: when the weather is nice (which is pretty much all the time), locals prefer hanging out outside and many bars offer predominantly outdoor seating. The current hit is a place called Kuli Alma that offers a big outdoor space, as well as an indoor dance bar with some of the city’s best underground DJs playing nightly. If you’re in Tel Aviv during the summer months it’s worth checking in on the Teder pop-up bar and radio station, which becomes the temporary spiritual home of the city’s hipsters, creatives and media darlings. Tel Aviv is very small so you can pretty much cover all the interesting bits in one day by walking or cycling. If you’re a fan, explore some classic Bauhaus buildings along Bialik Street, Rothschild Blvd. and the surrounding areas to get a feel for Tel Aviv’s famous White City (free information and tours are available through http://www.white-city.co.il/english/). Your walk can take you up along Dizengoff Street with its many fashion stores and pleasant cafés, to Tel Aviv’s Old North neighbourhood, with its pleasant, chilled vibe. If you’re on a bike you can cycle all the way up to the old port then head back along the seafront’s relatively cushy cycle path. Taking a break from the beach around Hassan Bek Mosque, you can head in for a bit towards the Carmel Market, where you can sample some local food and drink and enjoy a fresh fruit shake or some local street food. Head back south and you will hit the edge of the very attractive Neve Tzedek neighbourhood, which is perfect for getting lost. Apart from some very pretty old buildings, the place is now very modern chic. 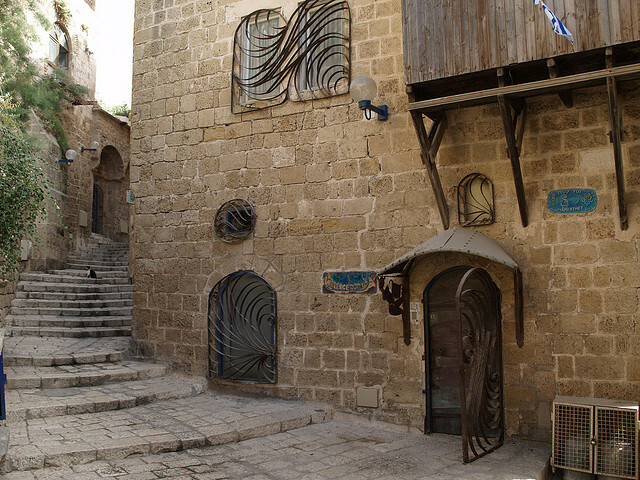 Then head to Shabazi Street for the best collection of boutiques, cafes and restaurants. It’s also the home of the Suzanne Dellal Dance Center, which is worth a visit even if you don’t intend on catching a dance show. 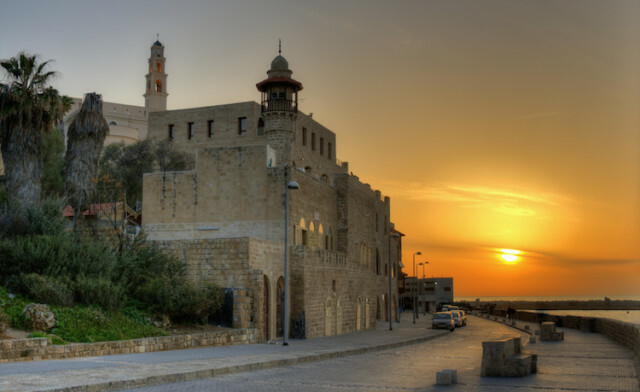 Once finished, you can walk along the beach to Jaffa where you can explore the popular flea market area, great for a rummage among antique, bric-a-brac and junk stalls, as well as designer fashion boutiques and trendy restaurants and bars. You can enjoy a light meal at the pretty Puaa Café (8 Rabbi Yochanan), where everything from your table to the pictures on the wall are for sale. If you want, you can head a bit further south along Margoza St., Yefet St. or Sderot Yerushalaim to explore the less touristy part of Jaffa for a bit. Café Salma (34 Yehuda Hayamit St.) is a nice place to stop and have a rest on your way back. From Jaffa, head back into Tel Aviv via the Noga neighbourhood (nestled between Salame St and Jaffa road) where there are now various artist and design studios, plus a few good cafés and eateries, including Knaffe Noga where you can stop for a tasty sweet treat. Head up into Florentin’s alleyways to see an entirely different type of neighbourhood – grittier (but safe) and full of graffiti. Hang out in one of Florentin Street’s many cafés where you can enjoy a light meal, or head up north to Nahalat Binyamin St, Rothschild Blvd. or Lilienblum St. where there are plenty of more excellent restaurants to enjoy. At night, you can do as the locals do and visit several bars. Nahalat Binyamin St, Lilienblum St and the Florentin neighbourhood are all good for bar crawls and it’s also worth checking out the Pasaz for album launch parties or surprise free gigs. Further north along Allenby St. is a collection of more mainstream bars, some of which are a tad sleazy. The laid back and popular Minzar neighbourhood bar is definitely worth a stop, though, and on weekends there is often good music at the Deli dance bar. If you’re into electronic music and are in town on Thursday or Friday night, don’t miss out on a chance to experience one of the city’s bigger clubs, such as the Block or the Comfort 13. Tel Aviv is the non-stop city, after all. Shimrit Elisar is the author of DIY Tel Aviv, the alternative city guide, and the related blog and radio show. Born and raised in Israel, she spent many years traveling the world and living in London, where she was heavily involved in the local party and festival scene. She now lives in Tel Aviv where you can find her either at the beach or dancing to underground techno.